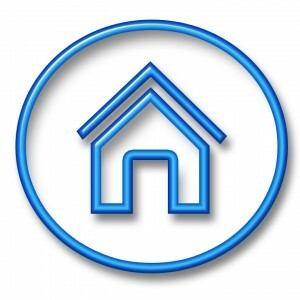 This blog is an add on to yesterday’s post about homes being pending when you go to see them. View that video blog here… What do you mean it’s already pending? 36-37% of Trulia and Zillow’s listings marked as active but no longer for sale in the local MLS. Zillow and Trulia are missing 19-21% of all active listing that are in the local MLS. Zillow and Trulia take 7-9 days on average to take a local MLS listing and put it on their site. It’s pretty obvious. If you use Zillow or Trulia and don’t see a property until 7-9 days after it’s listed it will most likely be off the market. Especially, under $200,000. Also, you’re missing 20% of all active properties that you may like. Get an agent that will create a “ListingBook” account for you and put you on an MLS drip system. The MLS drip system will email you immediately when a home comes available within your search criteria. This is the best way to know what’s on the market. ListingBook will be your main hub for information. It updates within 15 minutes of our MLS and stores correct information on properties. It works must like Zillow and Trulia but you need to be given a log in by a local agent. When you get an MLS drip email log in to ListingBook and get the information that isn’t on Zillow or Trulia. For questions or to get a ListingBook account and MLS drip system contact Ricky at (775) 750-1437 or Ricky@Resnv.com. Posted in For Buyers and tagged reno buyers agent, reno sparks mls listings, sparks trulia homes, zillow reno homes.